Problem: You own a successful business that caters to the the beach lifestyle. It may be a restaurant, bar, or resort. Your customers love your brand and are asking about buying your branded product such at t-shirts, hoodies, and stickers before or after they visit your location. You do not have the time to manage an ecommerce site, let alone build or promote it. Plus you need to manage inventory stock to support your ecommerce site. This is usually where most people give up, and for good reason. It is not easy, or at least not easy to do it right! Solution: Island Jay has you covered. We can fill the gap to make sure your customers product demand for your brand is met before or after they visit your business. 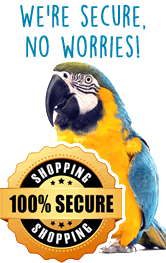 How: Island Jay will offer a landing page on our web site and present your branded product. We will help design, develop, stock, and present your beach brand on IslandJay.com. Island Jay handles all the orders, logistics, & customer service. All we need from you is your collaboration to approve the designs and to collect a check at the end of every month for your portion of the sales. Here are other brands that are already working with Island Jay. How much will it cost: Nothing. There is no expense on your end at all. Is there a contract? No. You can stop working with us at any time. I own a Beach Bar/Restaurant/Resort and we already sell our own product onsite. How does this work? Island Jay is not looking to change your existing relationship with any company that provides your product to sell at your physical location. We are offering your customers an online option only. Of course, if you need product for your location to sell, we can help with that, too. About Island Jay: Island Jay was established in 2013 and offers unique beach inspired products for those that love to live the beach life. Your beach business and Island Jay share much of the same customer base. We operate our production facility out of Oldsmar, FL. Here we stock, make, and ship our own Island Jay product line. Like many small businesses, we started out of a garage. Fast forward 6 years later and we ship hundreds of products per day. Sounds good, how do I start? When you are ready to have Island Jay help your business, please reach out to me, Jay at 727-488-8575 or Jay@IslandJay.com.